Sweet Cheeks Adventures: Lugz Shifter Ripstop : Perfect for under the tree! Lugz Shifter Ripstop : Perfect for under the tree! Picking out the right footwear is an important thing for anybody these days! Do you wear tennis shoes? Boots? Flip flops? The possibilities are endless these days! 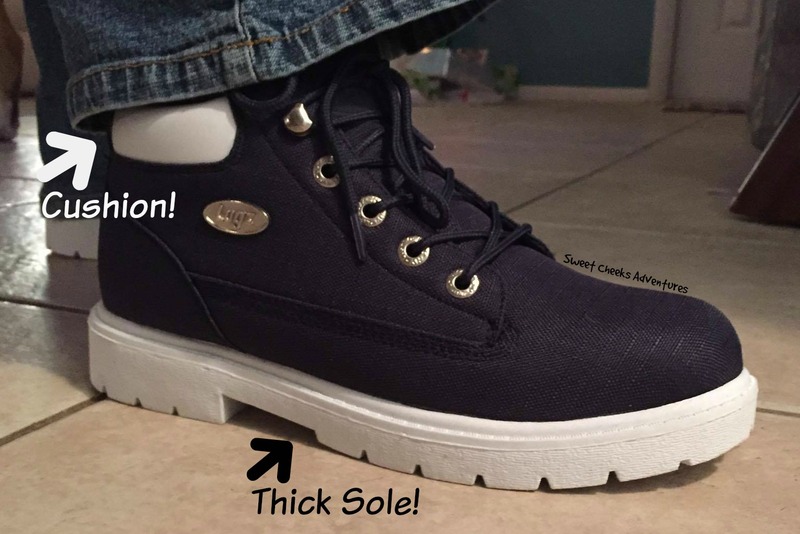 I am excited to share with you, my first pair of Lugz boots! They're so cute and I love them! The boots you see above are part of the new women's line of Lugz. There are so many great choices in the women's line. I've fallen in love with these boots and can't wait to try another pair. The Women's Shifter Ripstop have a nicely cushioned insole and padded tongue and collar. They aren't heavy either! The perfect weight for moving and shaking. We all know how you like to get down! I have to tell you how comfortable my feet are as well. The insole is just what I would expect from Lugz. After hours of wear, my feet were not tired. These are now my go-to boots for my jean wear. Lugz are made to be durable. 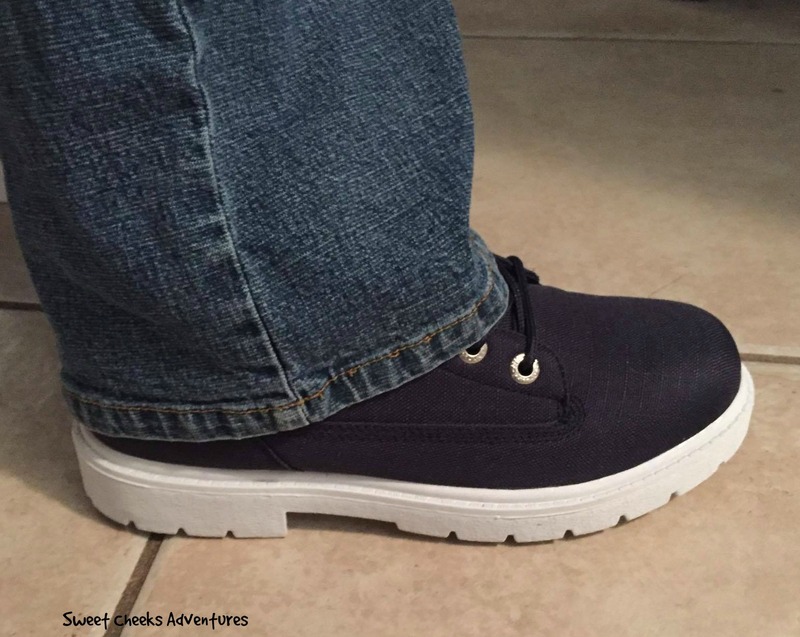 These look great with jeans, khaki pants or sweat pants! Dress up or dress down... either way, put your Lugz on! Whats even better... 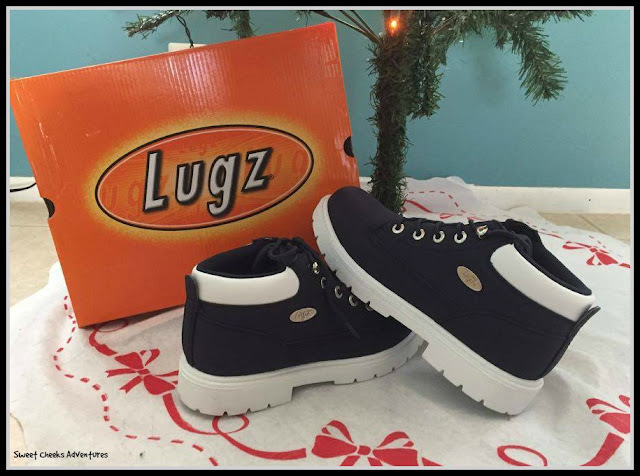 If these aren't your style, Lugz has you covered. They have boots with fur, boots for children, boot for men and even slip-ons! I need a pair of those slip-ons, for sure! The blue in the photo are gorgeous ,I'd love to give these to my fiance. I love the drifters and regiments and can't even begin to decide on colors. The white with colored soles are gorgeous but I'm affraid would not stay that way for long... the charcoal grey ate another favorite. Guess I just have to win the lottery. I would like the Mahala. As for colour, probably the black. They look adjustable for the leg - this is a good thing since I would be dealing with hefty calves. I really like the Sophia In Black! They go with all my winter wardrobe essentials! Thank you for an Awesome Giveaway!! Happy Holidays! Coffee/ Antique Brass/ Black these are such cute boots love the style and color too. I like the Zen Lo in Chestnut.